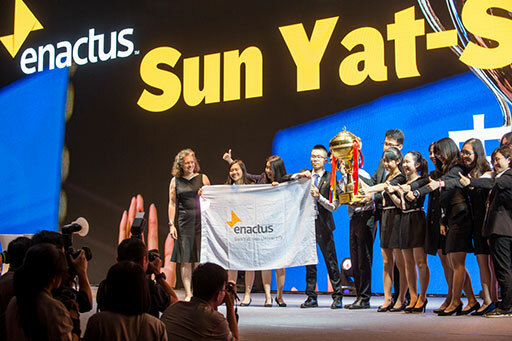 Our sixth national competition takes us to Shanghai for the Enactus China National Competition, perhaps our biggest event of the season, where 2,520 supporters came together to celebrate lives changed through entrepreneurial action and to choose a national champion. 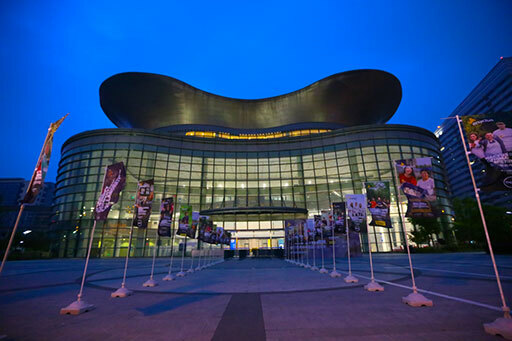 In total, 93 teams made the trip to the Shanghai Convention & Exhibition Center of International Sourcing to participate in the competition, with an additional 59 teams coming to observe. With nearly 2,000 students in attendance, we can only imagine the energy, excitement and emotion! 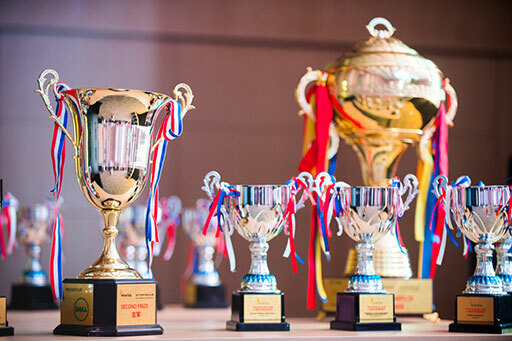 In the first two rounds of competition, 190 judges had the difficult task of evaluating the teams’ work and selecting the four teams to move on to the final round. 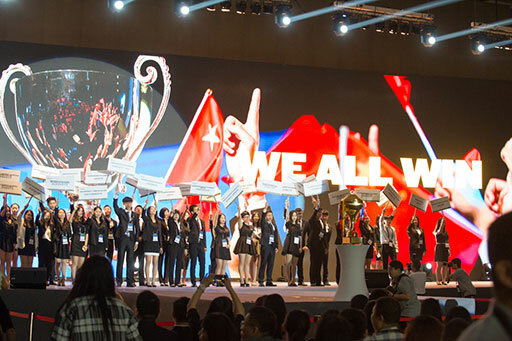 On the afternoon of the final day, all attendees came together in the main room where 63 top business leaders from across the country served as final round judges. 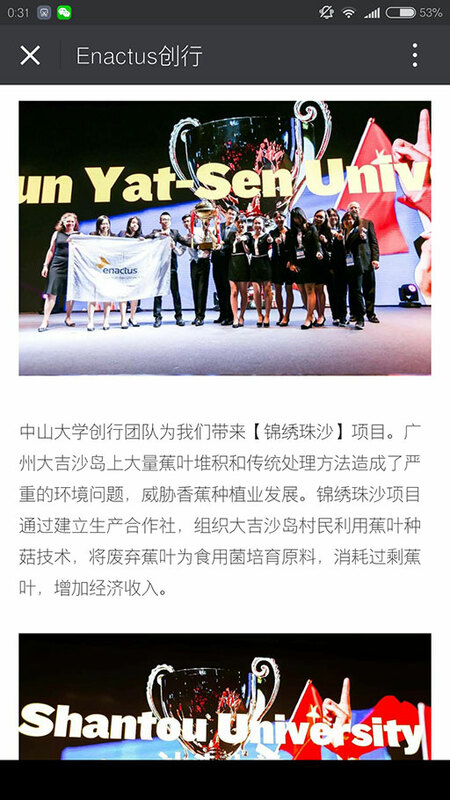 In the end, the judges named the team from Sun Yat-Sen University as the 2016 National Champion, earning them to right to represent China at the Enactus World Cup taking place this September in Toronto. The team’s Neverland project highlights the impact they’ve had this year: although banana planting has been a prosperous industry for decades, dealing with the waste is having a significant environmental impact including air pollution from burning banana leaves and the spread of bacteria to the trees from discarded leaves. The team has launched an initiative through the farmers’ cooperative to use the discarded banana leaves to cultivate mushrooms, which has diversified the local economy while addressing serious environmental issues. Generously supported by Dell, A.O. 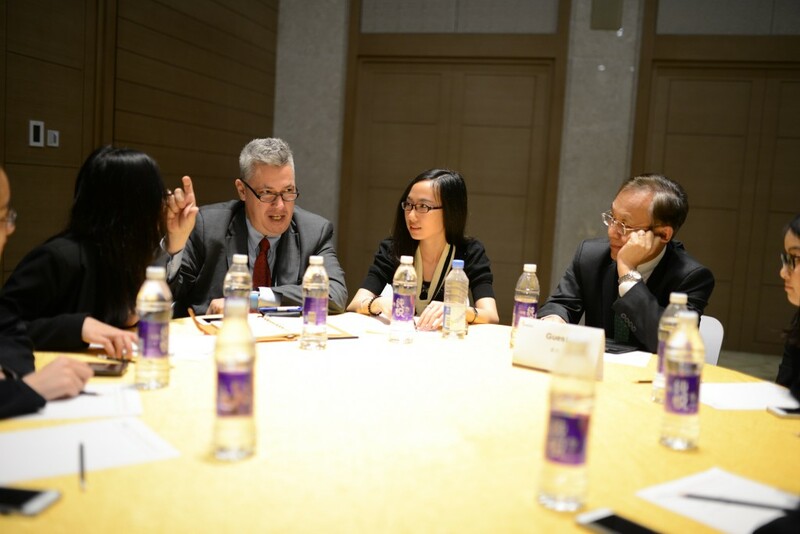 Smith, Bayer, Freudenberg, and NuSkin, the event also included a Top to Future-Top Forum, which brought together executives from multi-national companies with students to discuss the topic of women in leadership. 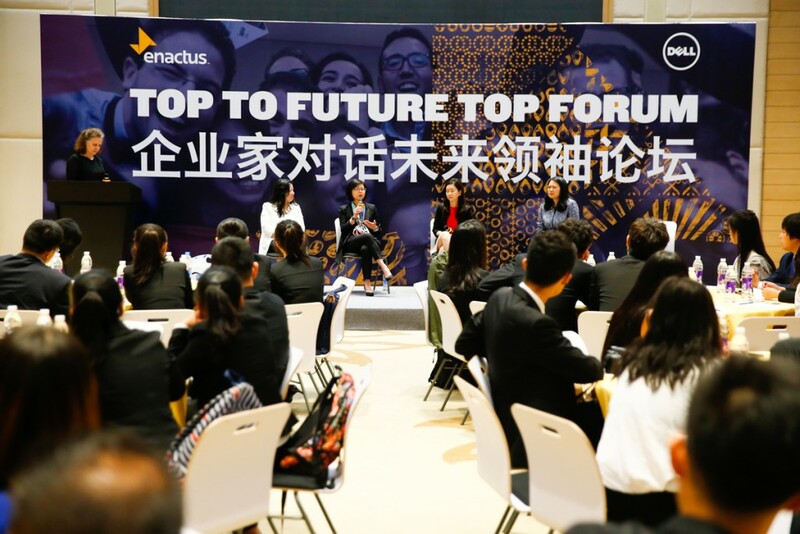 Discussions were kicked off by an interesting and engaging panel discussion, which included Angeline Wong Tucker, HR Director for Dell; Linda Lin, Partner, Transactions & Restructuring for KPMG China; Li Ting, Enactus Alumni and Head of Fashion eCommerce at RED (Xiaohongshu); and Tracy Guldan, Director, Business Quality for Johnson and Johnson. There was also an Innovative Station Fair, where 25 sponsoring companies set up booths to showcase their companies and to interact with the students to discuss career opportunities. 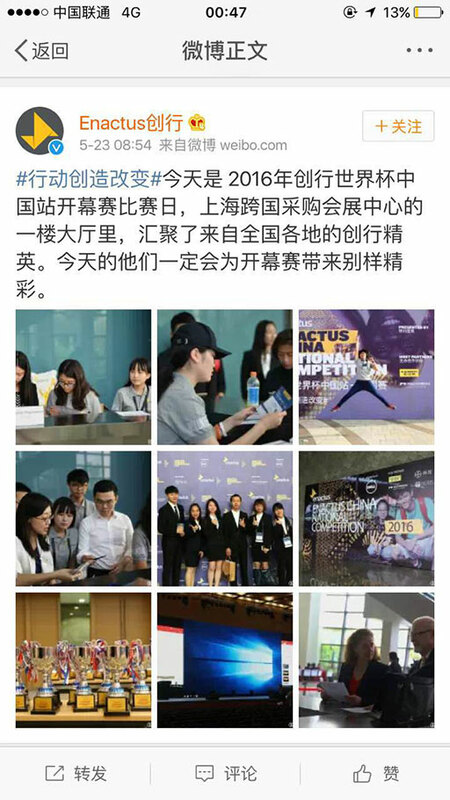 Although most of our network couldn’t see it, Enactus China staff, social ambassadors and teams from across the country were very active on social media, sharing posts leading up to and during the exciting event to share their experiences with others. Check out some of the posts below. 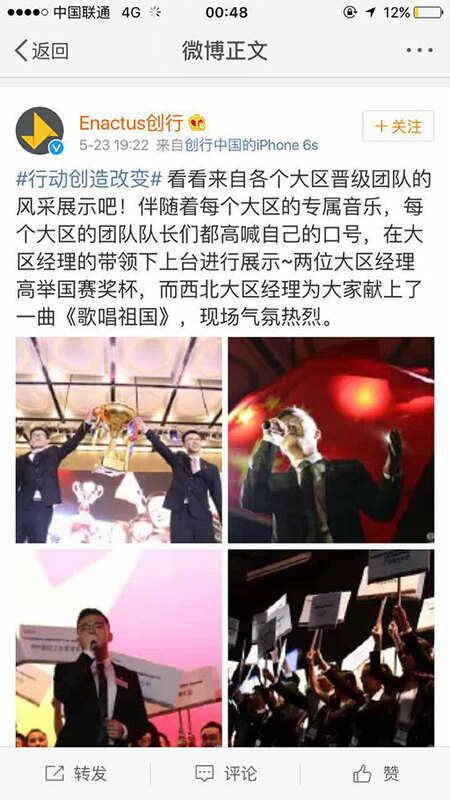 The event was picked up by various media outlets as well, with 27 online media site sharing information about the competition. You can read one of the articles here. 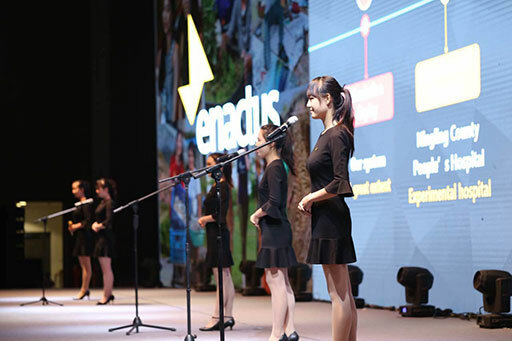 Speaking of social ambassadors, the Enactus China team did a great job getting them ready to share their competition experiences. 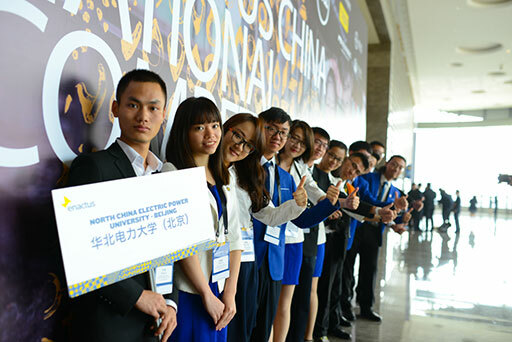 They set up a WeChat group for them to share their experiences and had a special training session before the competition. 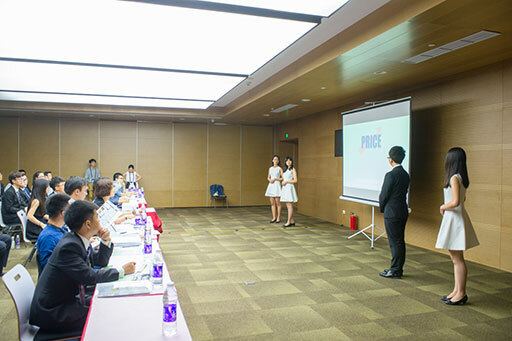 During the event, they were given preferred seating to take in all the action, and they even set up a friendly competition to reward those ambassadors with the most creative content and thorough coverage, which was won by students from Heilongjiang University and Huazhong Agriculture University. 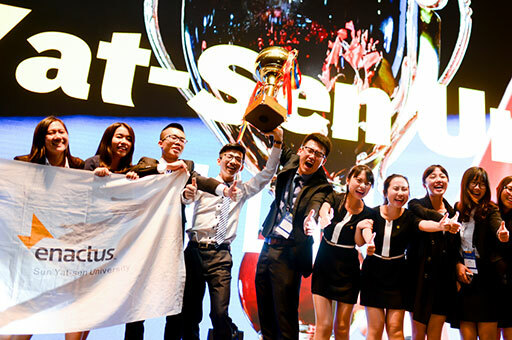 Wish you’d been at this year’s Enactus China National Competition? This flashback video is the next best thing to being there!